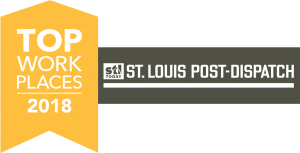 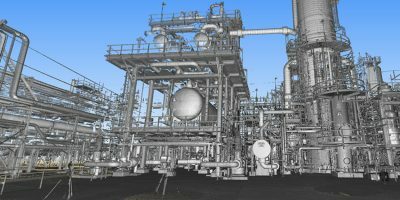 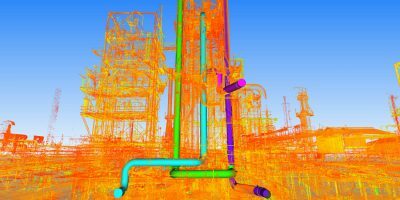 Reality Capture Technology for Two Confidential Industrial Facilities - St. Louis Engineering Firm | Thouvenot, Wade & Moerchen | TWM, Inc.
TWM was contacted by two private sector clients in Philadelphia, PA to provide reality capture services for their industrial facilities. 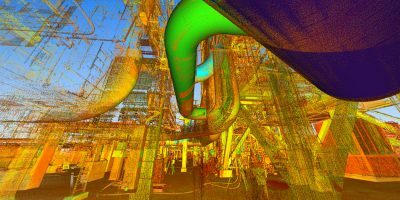 Industrial facility #1 decided it was time to take advantage of 3D laser scanning technology when their 180 ft. tall pipe structures needed an upgrade. 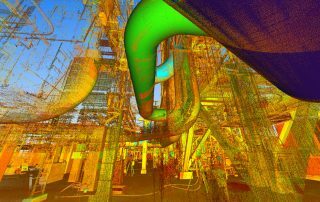 Instead of hiring a company to install temporary scaffolding to capture the required measurements by hand, they contacted TWM to scan their structures. 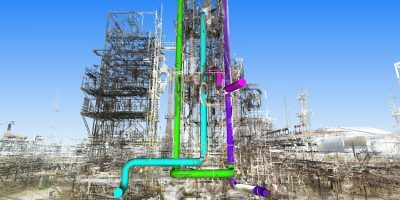 We provided the data they requested faster and without compromising the safety of their employees. 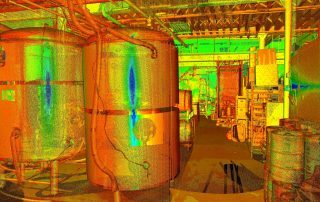 Client #2 is an industrial storage facility who is also planning to use scan data to retrofit their operation’s piping. 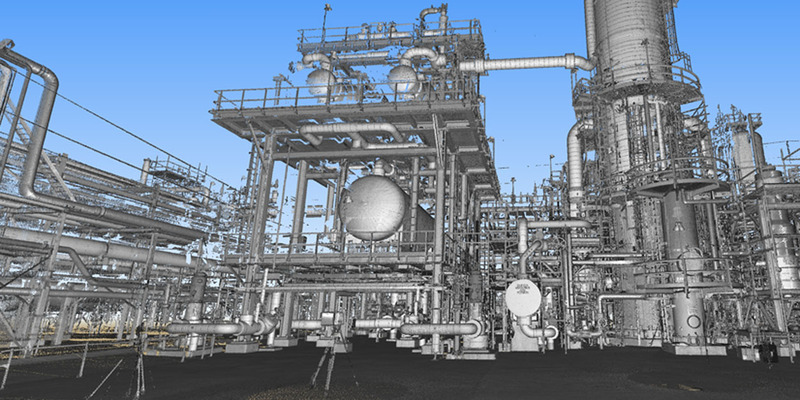 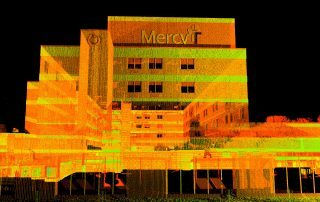 3D laser scanning was a perfect option for this facility due to their need to adhere to an expedited schedule. 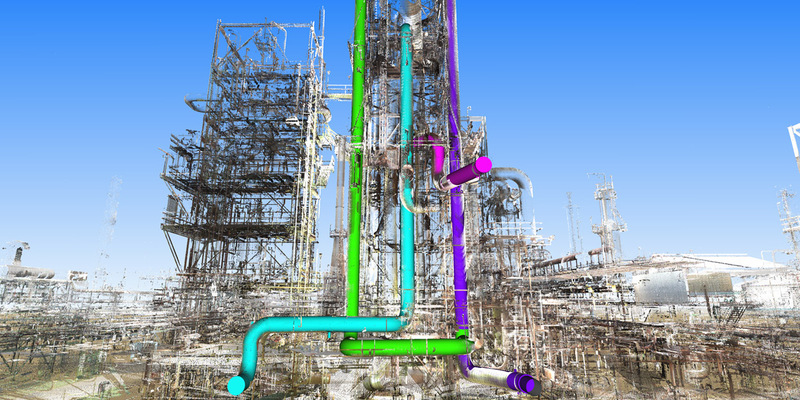 They required the new pipe installation project be completed during an annual 2 week facility shutdown each July. When you need accurate data – fast – 3D laser scanning will help you achieve your goal of getting the job done quickly, efficiently, and oftentimes with more accuracy than if you were to try to complete the job using old school methods. 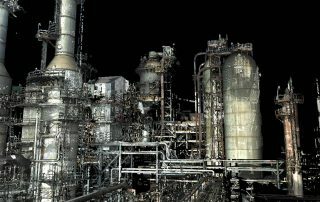 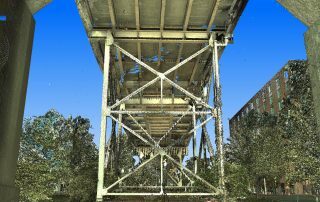 Visit our 3D laser scanning page.